The protracted offshore slump could see another Norwegian OSV owner forced into restructuring. Eidesvik Offshore managed to improve its quarterly earnings, released today, but has admitted it remains under severe pressure. 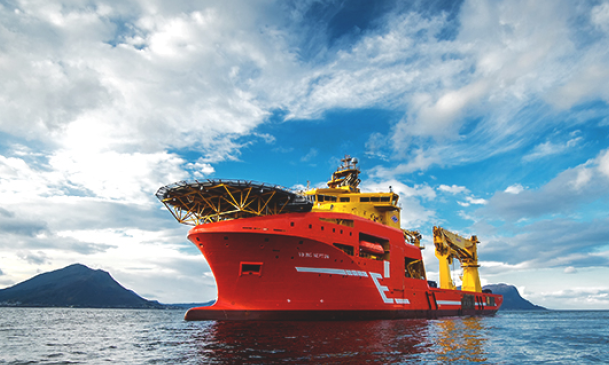 “If the current market situation continues, the Eidesvik Offshore Group will have to go through a financial restructuring,” the company said in a release, describing current market conditions as “challenging”. Eidesvik Offshore, which managed a NOK135.09m ($15.91m) net profit in the first quarter, is a supply, subsea, seismic and cable-laying shipping company. The fleet consists of ten supply ships, both platform supply vessels and anchor handling tug supply vessels, five subsea vessels, five seismic vessels and one cable-laying ship. “We do not see any material change in the short term. We do, however, see an increasing focus internationally on vessels operated on LNG, and think this market will strengthen going forward, also including supply vessels operated on LNG,” the company noted.